Pierce Brosnan Interview: “I grew up watching Westerns in Ireland.” – The Son. 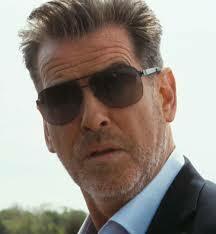 The last time Pierce Brosnan saw duty in a TV series was in the mid-80s when he played the debonair Remington Steele. Thereafter followed his lengthy tenure as James Bond and Brosnan never looked back. Until now. Sitting down for a chat wearing a chic black leather jacket, jeans, and a blue scarf, Brosnan is thrilled to be back on the small screen in THE SON, a stirring historical drama in which he plays Eli McCullough, the patriarch of a cattle empire. Ever the perfect gentleman, Brosnan even offers to pour you a drink of water and immediately wants to put you at ease.